Costa Favolosa is almost like a floating castle - a magical place with over a thousand rooms, enchanting lounges, sophisticated atmosphere and luxurious decor. With shows, games, music, parties, and much more, there is fun to be had in every corner of the ship, from morning til night. Dining on Costa Favolosa is out-of-this-world; delicious dishes prepared with the best ingredients will greet your tastebuds at every meal. The ship itself features 1,508 cabins, of which 103 have direct access to the spa, 594 of which with their own private balcony, as well as 56 suites (all with a balcony) and 12 exclusive suites with direct access to the spa. There are five unique restauants, thirteen bars, four swimming pools and five Jacuzzis, as well as the Samsara Spa - a 6,000 square meter relaxation area which spans two levels. 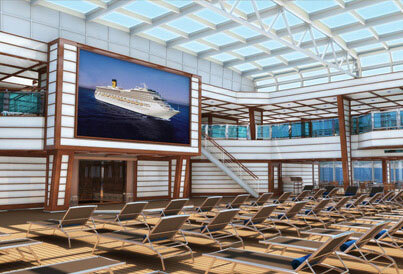 This ship is fully equipped for fun in the sun. 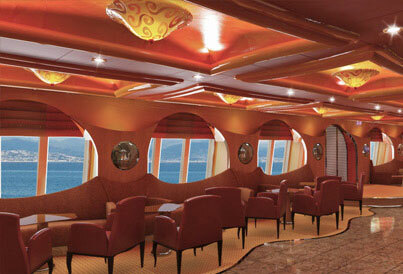 Guests of Costa Favolosa will revel in the myriad activities that are available for everyone in the family. The ship is home to four swimming pools (two of which have retractable covers in case of inclement weather), as well as a children's pool and a water slide; there are also five Jacuzzis aboard for you to relax in at your leisure. The Samsara Spa offers 6,000 square-meters of spa luxury; it hosts a gymnasium, a thalassotherapy pool, treatment rooms, baths, a sauna, a Trukish bath and even a UVA-ray solarium! 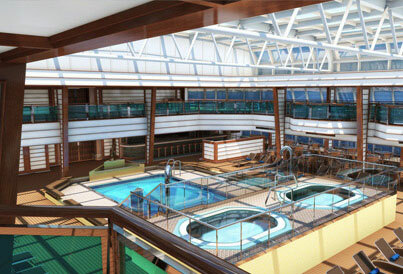 The ship boasts a multi-purpose sports court, as well as a pool deck with a gigantic screen. There's even a 4D cinema. Costa Favolosa is the home of five unique, delicious dining venues. Each with its own personality, and a different menu each day, your taste buds will be tantalized at every meal! You'll be seduced by the smell of freshly prepared breakfast, lunch and dinner as they waft the corridors of the ship; with a buffet of tasty sandwiches and salads, lunch is a specially prepared banquet, while dinner brings many special options, including the Samsara Restaurant, a part of the Samsara Spa where you can enjoy tasty, healthy meals. 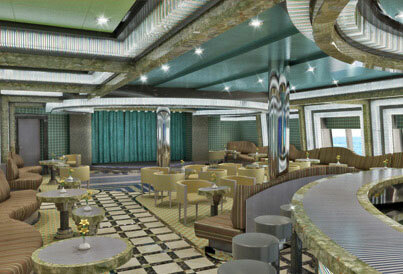 This wondrous ship features 13 different bars and lounges, including specialty themed bars. 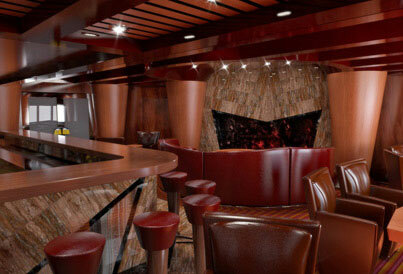 There is a Cognac and Cigar Bar, as well as even a Coffee and Chocolate Bar. 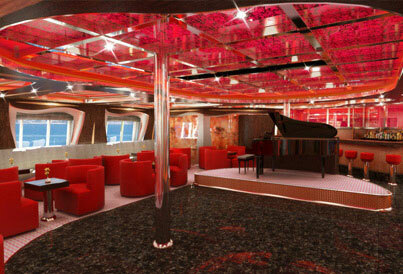 There is a casino on board, as well as a theatre that spans three decks and even a Disco where you can dance the night away! Each evening is magical, and full of games, music, shows, dancing and so much more. You'll be able to spend your night just the way you want: the choice is yours - have a night out, or a more quiet, intimate cocktail on the deck. There's something for everyone to enjoy!